Godrej Aerospace, a unit of Godrej & Boyce Mfg. 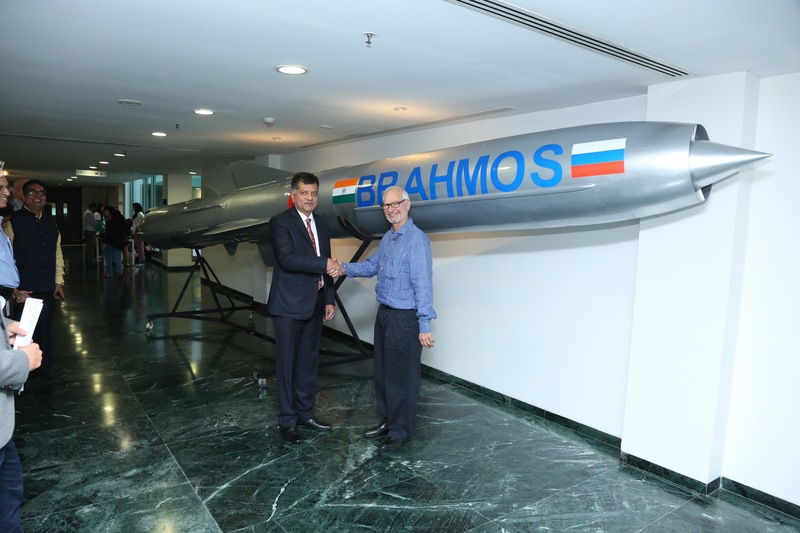 Co. Ltd., today handed over the 100th set of airframe assemblies to BrahMos Aerospace Pvt. Ltd. ( BAPL) for use in its missile systems, continuing the company’s proud tradition of contributing toward building India’s defense capabilities. On this occasion, Mr. Mishra also congratulated Godrej Aerospace for winning the order for 100 units of airframes for Air Launched version of BrahMos missile and the start of its production. The BrahMos missile is a stealth universal supersonic cruise missile that can be launched from ships, submarines, aircraft and land-based platforms. It can be used for a precision strike to destroy targets on land and sea. 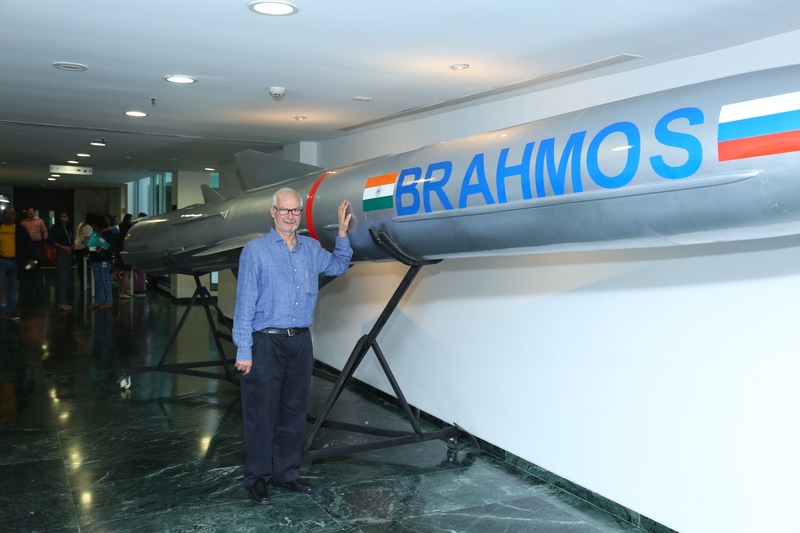 Godrej Aerospace has been associated with BrahMos programme since its inception in 2001. Godrej is a dominant contributor manufacturing most of the metallic sub-systems in the BrahMos missile. Besides the main airframe, Godrej supplies control surfaces and nose cap. Godrej also supplies the Mobile Autonomous Launchers, Missile Replenishing Vehicles for the land launched versions. Godrej & Boyce, a Godrej Group Company, operates across 14 diverse businesses. Founded in 1897, the company started with the manufacture of high-quality locks. It has since diversified into Consumer Goods, Office, and Industrial Products & Services, Infrastructure & Real Estate. Headquartered in Mumbai, Godrej & Boyce specializes in and is a market leader in Appliances, Furniture & Interiors, Security Solutions, Locking Solutions, AV solutions, Vending, Material Handling, Industrial Logistics, Aerospace, Nuclear Power, Defense, Toolings solutions for Auto industry, Process Equipment, Power Infrastructure, Real Estate and Green Building Consulting. Godrej is one of India’s most trusted brands serving over 1.1bn customers worldwide, every day. duration of its flight. Once the BrahMos missile is fired, it doesn’t need any further guidance from a control center. This makes it a ‘Fire and Forget’ missile. The BrahMos missile is highly versatile and can be launched from positions on land, in air or water to seek and destroy targets on land and on water. Its sheer speed makes it a highly lethal weapon. Its pinpoint accuracy helps minimise collateral damage. The first successful launch of a BrahMos missile took place on June 12th, 2001 from a land-based launcher at the interim test range off the Chandipur coast of Orissa. Isn’t it one proud achievement for us Indians? Share your thoughts and ideas on this mission in the comment section. Being a lover of defense tech and aerospace, such articles are always fascinating to me !